The competition is heating up on NBC. Recently, the network announced the premiere dates for new episodes of American Ninja Warrior and The Wall. Earlier, we reported NBC has ordered 20 additional episodes of The Wall. Hosted by Chris Hardwick, the game show features teams competing for cash prizes by answering tough questions. The show’s first season debuted in December 2016. Season nine of American Ninja Warrior premieres on June 12th while new episodes of The Wall begin on June 22nd. AMERICAN NINJA WARRIOR” – MONDAY, JUNE 12 FROM 8-10 P.M. The Emmy Award-nominated “American Ninja Warrior” returns for its sixth full season on NBC. Matt Iseman is back as host, along with Akbar Gbajabiamila and co-host Kristine Leahy. The action-packed series follows competitors as they tackle a series of challenging obstacle courses in both city qualifying and city finals rounds across the country. Those that successfully complete the finals course in their designated region move on to the national finals round in Las Vegas, where they face a stunning four-stage course modeled after the famed Mt. Midoriyama course in Japan. The winner will take home a grand prize of $1 million. This season the show will make stops in Los Angeles, Calif.; San Antonio, Texas; Daytona Beach, Fla.; Kansas City, Mo. ; Cleveland, Ohio; and Denver, Colo., before heading to Las Vegas for the national finals. Last year “American Ninja Warrior” delivered its most-watched season ever, averaging 7.2 million viewers, and was a top-10 summer series among primetime programs on the Big 4 networks in every key ratings measure. THE WALL” – THURSDAY, JUNE 22 FROM 8-9 P.M.
With more than $12 million on the line every night, and up to $3 million on a drop at four-stories high, “The Wall” was built for one purpose – to change everyday people’s lives in an instant. What do you think? Do you watch American Ninja Warrior and/or The Wall? Are you looking forward to new episodes? 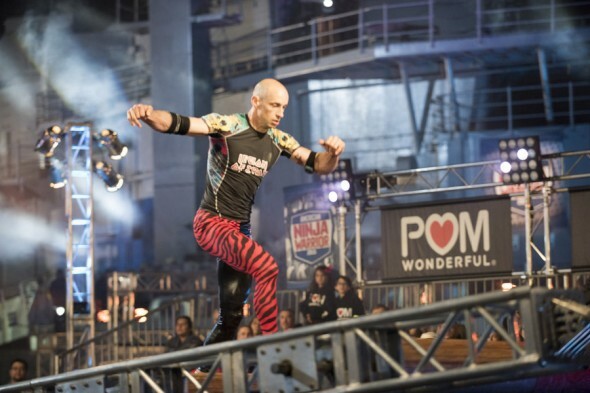 More about: American Ninja Warrior, American Ninja Warrior: canceled or renewed?, NBC TV shows: canceled or renewed?, The Wall, The Wall: canceled or renewed? I actually watch The Wall & the Ninja show. Really enjoy both of them.